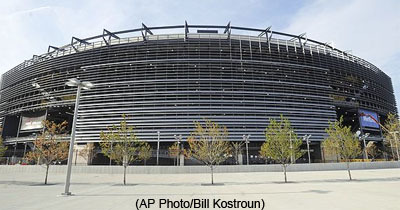 The football team is not the basketball team and MetLife Stadium is not Madison Square Garden. 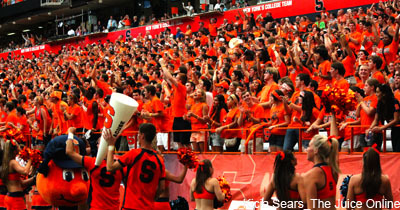 I understand tradition is built over time but the Syracuse football program is not in any position to be playing one of its home games away from the Dome. Milestones: Alec Lemon set the record for most catches in a season with 70; Jerome Smith became just the 16th Orange tailback to rush for 1,000 yards in a season. Slice it any way you want, with Syracuse’s 31-27 win over Missouri on Saturday night the Big East remains undefeated against the SEC this season. 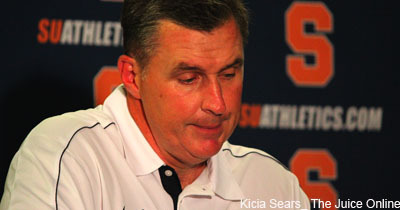 Doug Marrone defeats UConn for first time in his career. It’s also just the second time in Marrone’s four-year tenure that the Orange have more than one Big East win in a season. 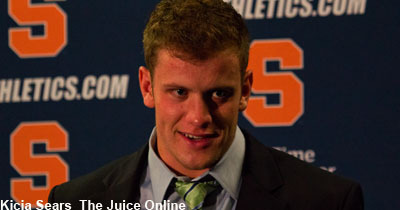 Syracuse continues to be offensively inefficient. 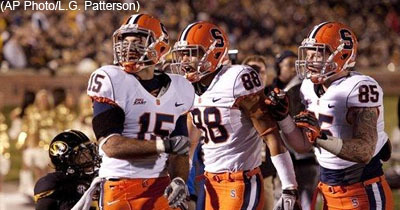 The Orange outgained the Scarlet Knights 418-237, but managed just 15 points. 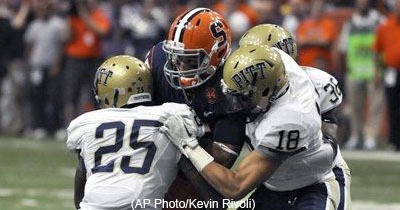 Syracuse has now outgained its opponents in total yardage in all four losses this season. 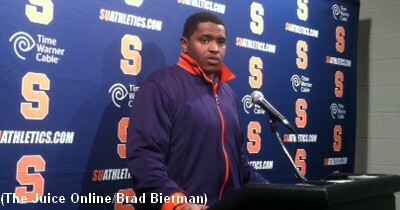 Syracuse wins. Slice it any way you want the Orange are 1-0 in the Big East and have a win over an FCS opponent for the first time since October of last year. If Marrone’s seat as head coach isn’t hot, its certainly starting to warm up. 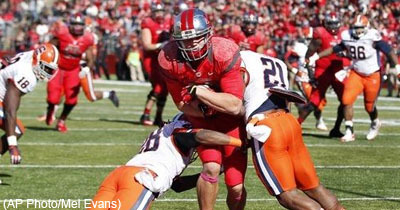 Here are 10 things we learned from Syracuse’s 28-17 win on Saturday over Stony Brook. 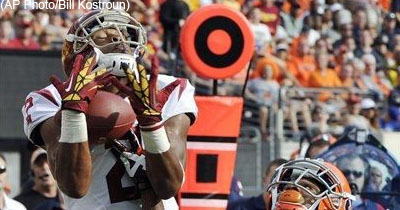 Here are 10 things we learned from Syracuse’s 42-29 loss on Saturday to USC. 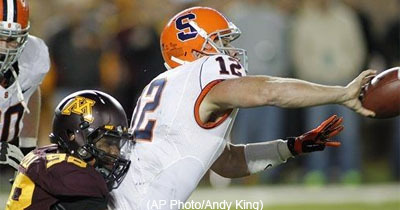 Here are 10 things we learned from Syracuse’s 42-41 loss on Saturday to Northwestern.